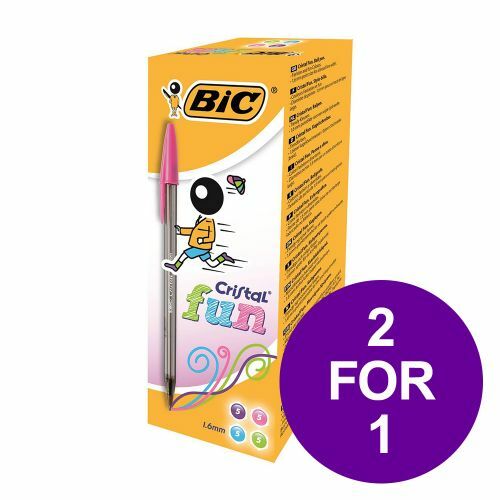 Buy one pack of Bic Cristal Fun Ball Pen Assorted 20 and get another pack for free. 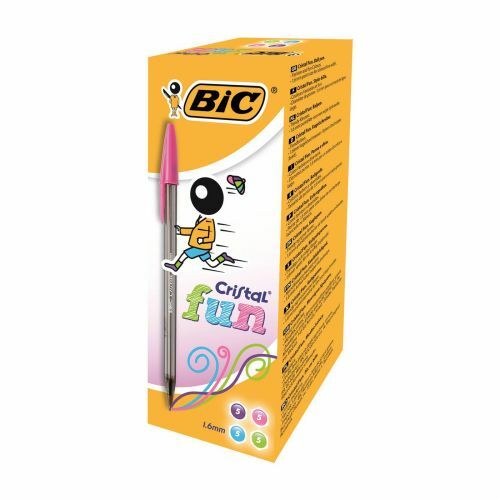 BIC Cristal Fun is a large-point ballpoint pen in a range of exciting colours, making your school work much more stylish! 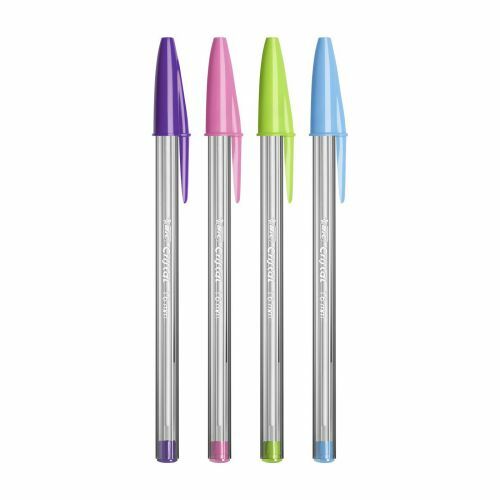 Assorted pack containing a mix of pink, purple, lime green and sky blue, they make it easier than ever to organise your workload and bring some personality to the page. 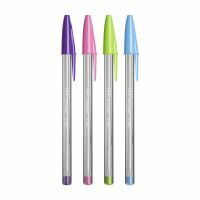 With cap and end plugs that match the ink itself, it's quick and easy to find the colour you need! A smoked barrel also allows you to see when the ink level is running low.